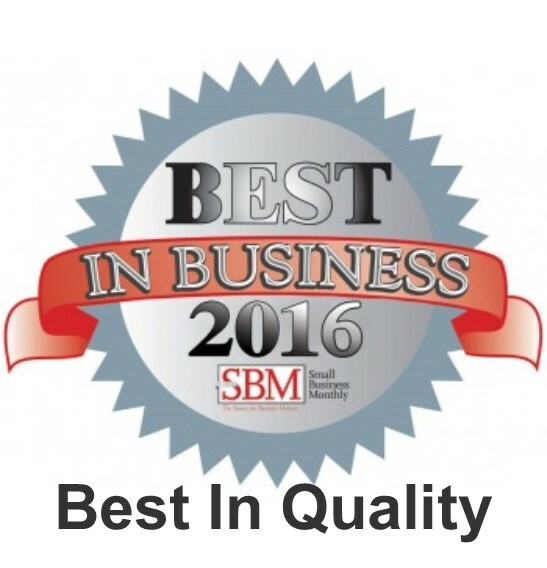 ST. LOUIS, MO – December 13, 2016 – Karpel Solutions, an IT firm based in St. Louis, MO, has been a named a Best In Quality company for 2016 by St. Louis Small Business Monthly. The honor recognizes those companies who consistently offer the highest levels of quality products and services throughout the year. 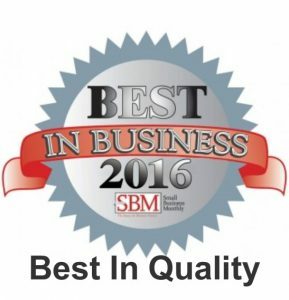 Only 26 area St. Louis companies received this recognition. The winners were selected based on nominations and comments from clients. The full listing will appear in Small Business Monthly’s January, 2017 edition. “It has been quite a year for Karpel Solutions as we continue to receive numerous accolades for outstanding performance. The Best In Quality recognition comes on the heels of Karpel being named one of St. Louis’ Top IT Firms for the fifth consecutive year. Our entire staff is dedicated to going above and beyond customer expectations to help them meet their goals,” said Matt Ziemianski, CEO. Ziemianski said Karpel Solutions continues to experience tremendous growth as is evidenced by its achievement as a 2016 Inc 5000 company by Inc. magazine. The firm ranked NO. #4560 and is projecting a 15% year over year growth rate for the next three to five years. “Our wide array of software services for the legal community, such as PROSECUTORbyKARPEL, and DEFENDERbyKARPEL, and IT services, through our iNSIGHTbyKarpel division, have been a major success both on a national and local basis. We look forward to continuing to offer these services at the highest levels of performance, day-after-day, week-after-week, and month-after-month,” Ziemianski said. Karpel Solutions is a business and government solutions and managed services provider that focuses on its clients' strategic goals through the application of current and cost effective technologies. Founded in 1985, Karpel is a four-time Inc. 5000 company, providing business solutions that mobilize technology to meet specific business needs. We oversee process efficiencies and strategic initiatives through the engineering of Managed Services, Website Programming, Business Continuity, and Remote & On-site tech support. Karpel has worked with over 300 companies and government entities throughout the United States, ranging in size from $10 million to over $10 billion. Karpel Solutions is a firm currently comprised of more than 40 business and technology professionals with experience in multiple business verticals. For additional information visit http://www.karpel.com.